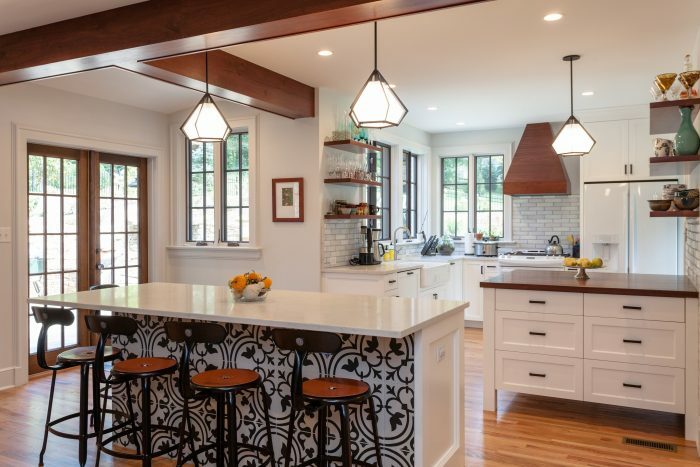 The Hands of Sean Perry transformed this 1920s brick house by creating a beautiful and functional outdoor living space, and by constructing a two-story addition that expanded the kitchen and laundry, and netted a new second story bedroom above. 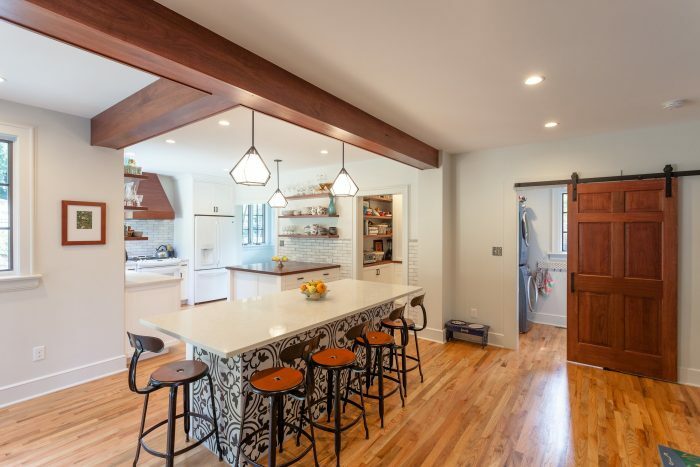 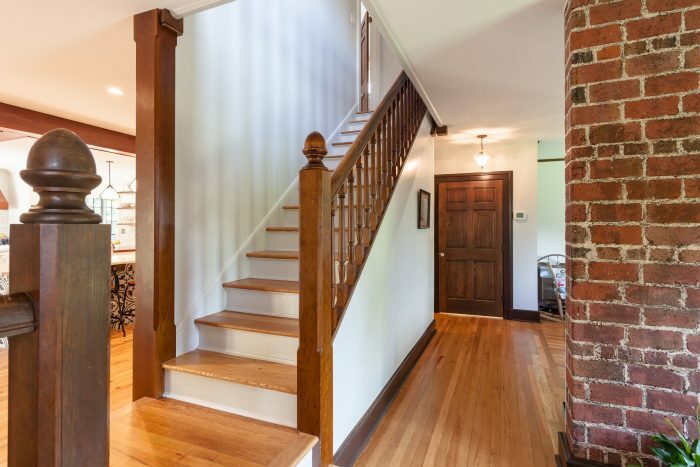 The kitchen expansion and renovation involved a major structural change, removing and then reusing large portions of the solid brick exterior wall for the expanded footprint. 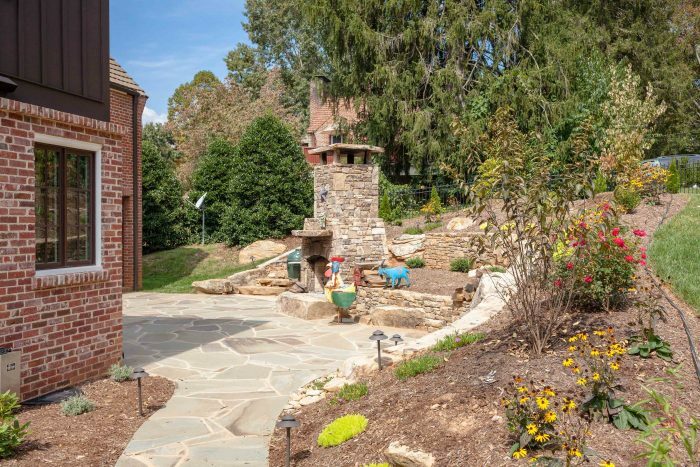 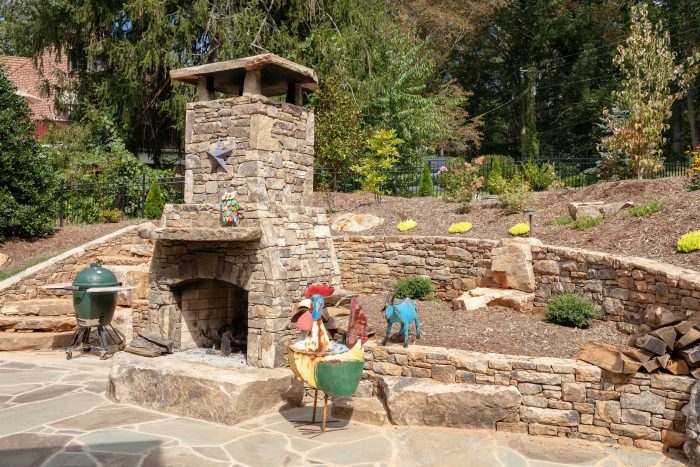 With a carefully crafted fireplace as the central focus of the custom designed stone patio, framed by a boulder retaining wall, this young family can pass straight through their spacious new kitchen to enjoy evenings under the stars roasting marshmallows in their own backyard.